Totalcontent | getting a taste for seafood. Home » blog » getting a taste for seafood. They go out crabbing every day from Newlyn Harbour on their 35-foot trawler The Three Jays, laying down pots the traditional way. The crab meat is carefully hand picked from the shell, which gives it a superior taste and texture. 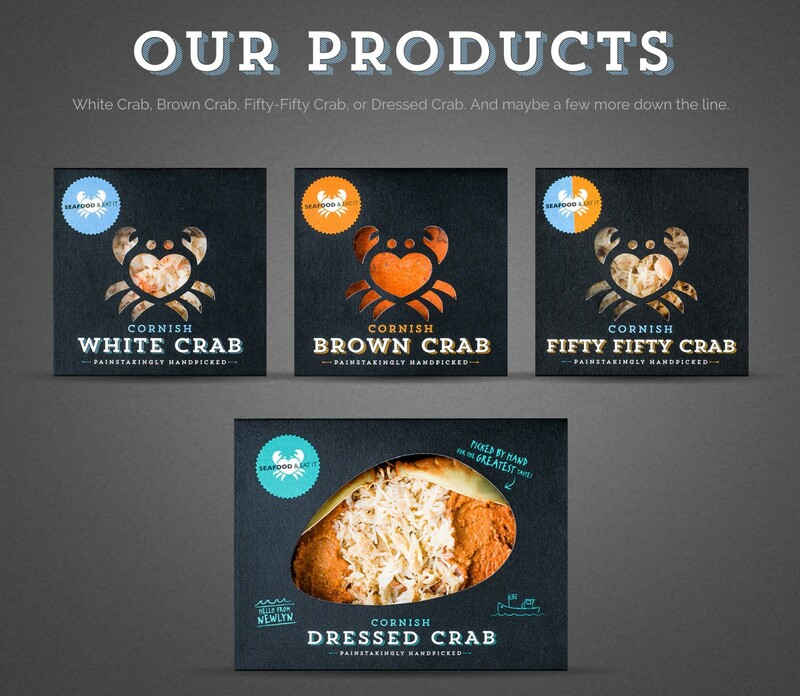 As well as supplying local pubs and restaurants, Sea Food And Eat It crab is available at selected outlets including Bayley & Sage, Partridges, Planet Organic and Waitrose. You can learn more about crabbing and Cornwall at www.seafoodandeatit.co.uk — we certainly learned a lot writing it. Thanks to Brand New for the commission. A tasty website, I’d say.